September | 2013 | "It's Only Nuts & Bolts"
It has become a bit of a tradition for Lauren and me to attend the London 2 Brighton Land Rover Run, which is generally held over the first weekend of October; this will be our 5th year in a row. Unfortunately however, this will also be the first time I go alone as Lauren is at university and unable to join me. 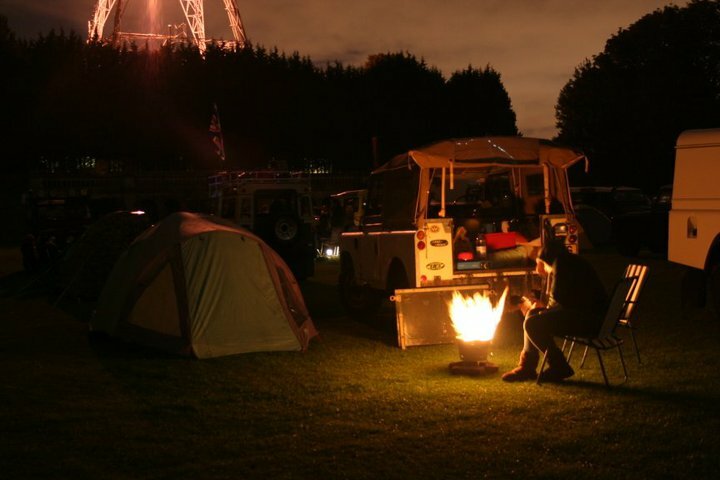 Now in its 15th year, this annual event is brilliantly organised by the South London & Surrey Land Rover Club (SLSLRC) with proceeds going to charity. This year’s run will be held on Sunday 6th October with vehicles arriving at the start on the Saturday before and camping overnight. Until last year the start was in Crystal Palace park right by the foundations of the mighty glass house and in the shadows of the transmission towers which can be seen from across London. This was a great starting point with the history, the athletics track and the famous dinosaurs that could be found in the park. Unfortunately the introduction of the Mayors’ “Low Emissions Zone” has resulted in many of the older vehicles no longer being allowed to travel London’s streets, so rather than exclude them the start was changed to Hook Road Arena in Epson, outside the dreaded zone. Land Rovers from across the country, and some from ever further afield, converge on this small corned of south London ready for a very early start to the drive down to Brighton. In addition to the several hundred vehicles which will park up over night, many hundreds more will arrive very early in the morning ready for the official off at about 9am. The drive down to Brighton is a leisurely affair as the vehicles wind their way through the London streets which slowly make way to the Sussex countryside. The last stretch follows the A23 as we finally make our way into Brighton and Madeira Drive which is right on the sea front by the famous pier. As well as the opportunity to view hundreds of Land Rovers, all makes, models, shapes and sizes, there are also club stands, traders and other activities taking place right by the sea. It is difficult to imagine a better way for a Land Rover enthusiast to end their summer! It is with great please that I record the completion of this challenge. Lauren and I set off slightly later than planned due to various traffic issues on route to Reading, but we were away by 09:00 which was good enough. Our route took us down the Thames path from Reading Bridge through Sonning, Shiplake, Henley on Thames, Remenham, Medmenham, Hurley, Bisham, Marlow and finally our destination, Bourne End Marina. 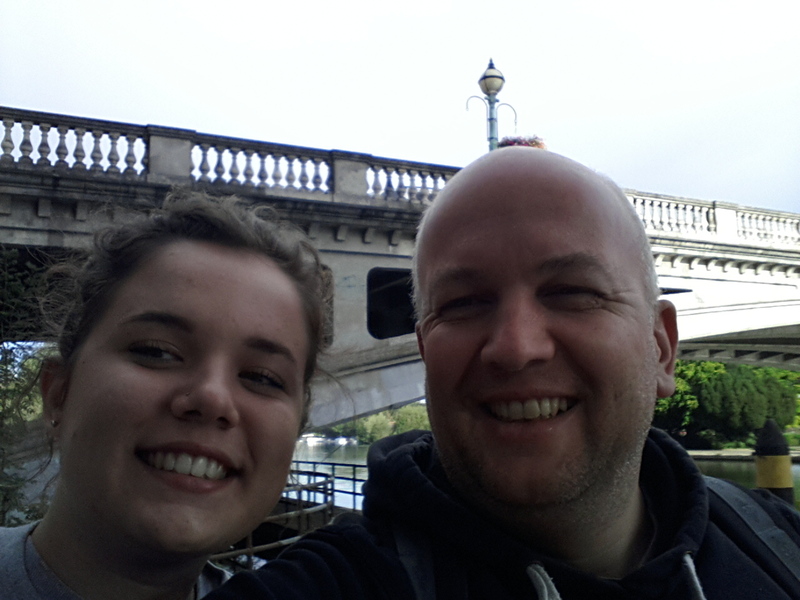 We completed out walk just after 16:00, a quite respectable 7 hours. 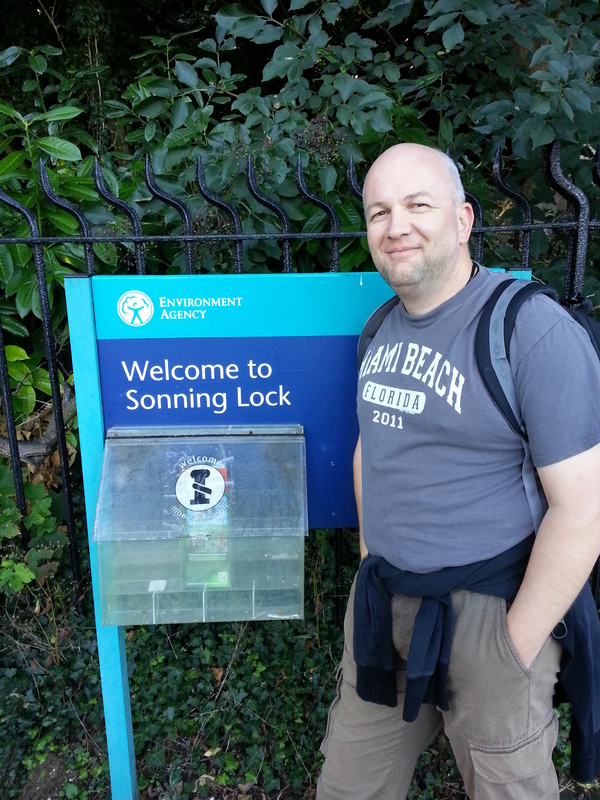 In Sonning we spotted this post box on the side of a bridge over the river. If you click on the photo you will see a bigger copy. Generally we were very luck with the weather, although we did get soaked three times with short, sharp showers. I intented to record every significant point with a photograph; certainly the start and finish. The start is above, however, when we finally arrived in Bourne End we’d had enough and just needed to get into the car and go home, so unfortunately no end photo. It is safe to say it was tougher than expected. Both Lauren and I had blisters, aches and pains. But we had done it and were both very pleased with ourselves. Finally, I would like to thank everyone who sponsored us. Currently we have raised £372 (£447 with gift aid) which is way beyond my target or hope. THANK YOU!